I hope you enjoy our playlist which features the biggest hits by the band from the 1980s. 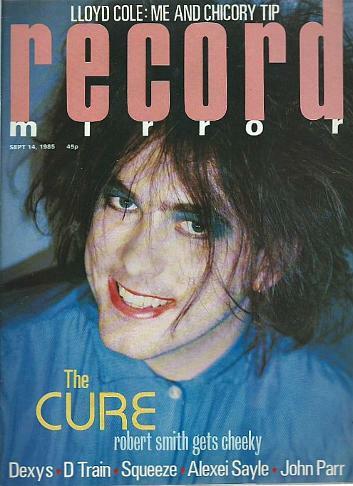 The British alternative rock band originally formed as Malice in 1976 and there were plenty of changes to the line-up before they became The Cure in May 1978. Many band members have come and gone since then, with frontman Robert Smith being the only original member still in the band. 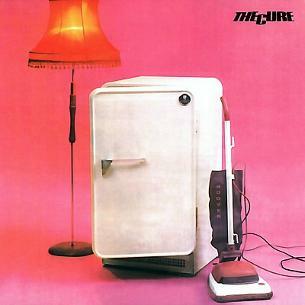 The Cure released their debut album, Three Imaginary Boys, on 11th May 1979 which climbed to #44 in the British album charts. The album was praised by the critics of the time, although Smith was unhappy with the choice of songs and cover artwork for the album. All albums released since then have only featured tracks and artwork that have been chosen by Smith. "the aural equivalent of a bad toothache". It was time for a change of direction and The 1984 album The Top certainly brought this. Robert Smith played the majority of instruments and wrote all of the songs. The sound was more experimental and psychedelic, and it's still refreshing to listen to with all the rubbish that's around these days. The band were now refocused and the diverse nature of the 1985 album The Head On The Door helped them to continue with their fascinating new sound. The original extended version of Close To Me (which featured on the 12 inch single released in 1985) is a particular favourite of mine, mainly because of those gorgeous New Orleans style jazz trumpets. 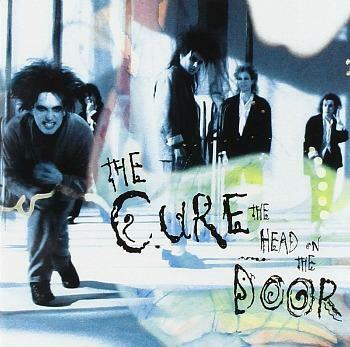 The original version that features on the album The Head On The Door is without a brass section. 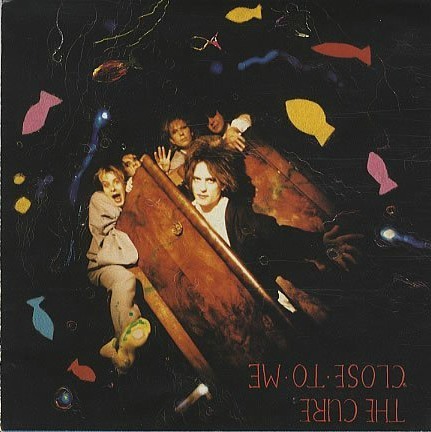 Released on 9th September 1985, Close To Me was the twelfth single release by The Cure, reaching #24 in the UK. A remix released in 1990 faired even better, peaking at #13. The previous single, In Between Days, was the first to be released from The Head On The Door and reached #15. No further songs were lifted from the album to be released as singles. The album itself is at odds with Robert Smith's ghoulish looks and the blurry sleeve artwork. It's a mainly vibrant affair, full of distinctive and catchy pop tunes, although there are still dark and moody moments. In general, it doesn't suffer from the 80s production techniques that have dated so many other albums from the same era. This was the first album by the English band to feature drummer Boris Williams, who remained with the band until 1993. Bassist Simon Gallup (he left the band in 1982) rejoined the line-up and still plays with the band today. Hot Hot Hot!!! was the final single to be lifted from The Cure's seventh studio album Kiss Me, Kiss Me, Kiss Me. Released in February 1988, the song failed to reach the UK Top 40, stalling at #45. However, that doesn't stop it from being a damn fine song, and the funky guitar work is divine. Released as a double LP, cassette and CD in May the previous year, the album gave the British band their first Top 40 success in America, reaching #35 (#6 UK) and all album releases since then have reached the Top 20 of the Billboard 200 album charts. 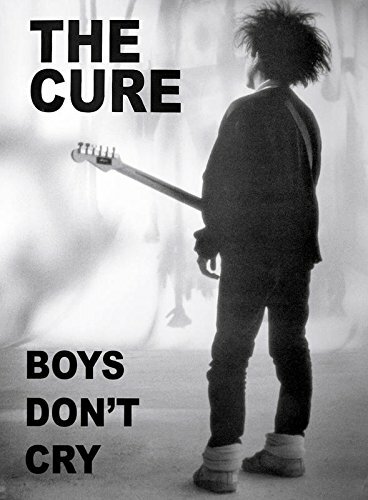 The Cure took full advantage of the fact that CD's could hold many more tracks than vinyl, and the 18 track album is seen as a classic by Cure fans. Robert Smith's lyrics are better than ever and the album features a rockier sound than on previous albums. But this is not straightforward or predictable rock or pop, and a wide variety of instruments feature with violins, saxophone, horns and atmospheric, swirling guitars helping to create a more interesting sound. The album takes you on a journey through both happiness and depression, and although some of the tracks are purely fillers, there is much here to enjoy. I wouldn't call it a classic myself, but it's one of the band's finer moments, that's for sure. 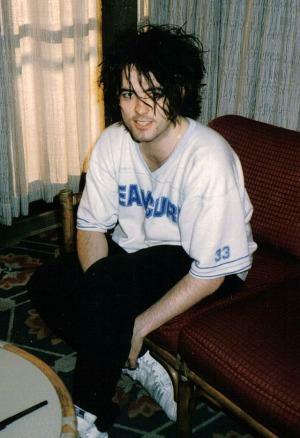 Robert Smith at Miyako Hotel, San Francisco in 1985. This image is a sharpened version of an Original Photo by (c) Nancy J Price released for free use under a Creative Commons license.